Hey crafty people, it's Laurie Willison here. 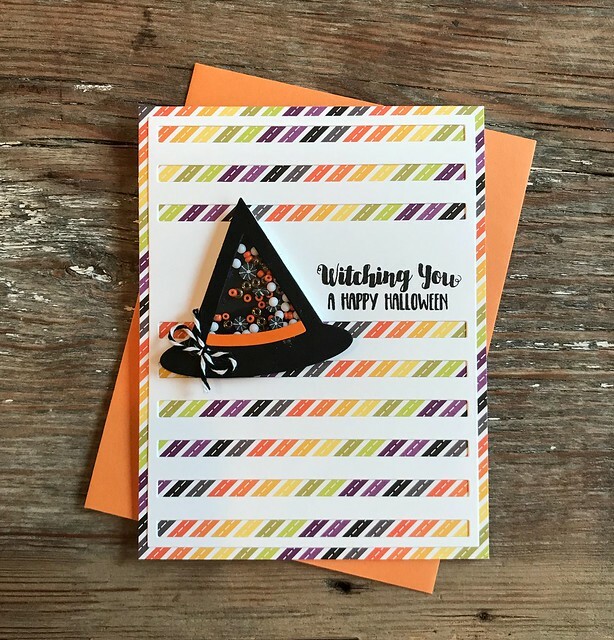 I am stopping in today with a couple of new cards using the latest Halloween Hooplah Kit. I adore the pattern paper pack that comes in the kit. 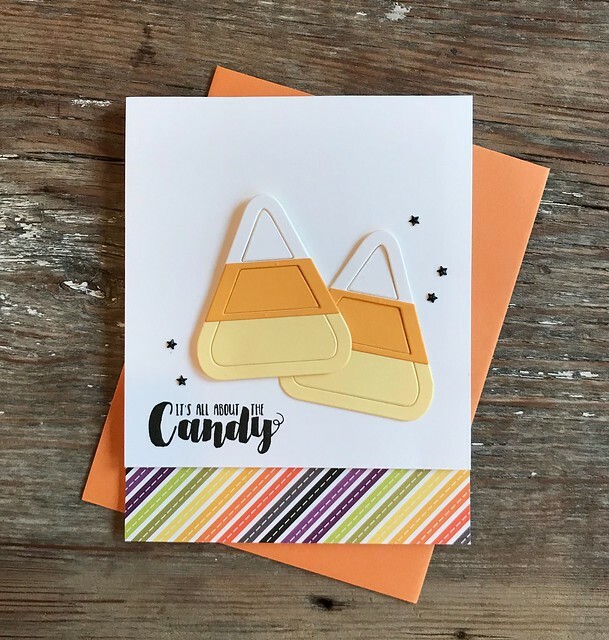 I love all the colors together and so when I saw this diagonal striped piece of paper, I knew it needed to be a background for this card. I attached it to the card base and then added on a cover up die. I stamped the sentiment in black ink and then built the little shaker box Witches Hat. I added in several toppings from the kit and finished it off with a little band of orange cardstock and a twine bow. I used the scrap of background paper from the first card and then popped the white panel up on foam tape. Then I stamped in the sentiment and added the candy corn die cuts. The little stars are actually toppings from the kit and worked perfect for fun little embellishments. The kits are still in stock and ready to shop! Grab one up for yourself today. Thanks so much for coming by and have a great day! I am trying to buy Halloween Hoopla candy fillings.